Just in, courtesy of Dave Story, the results from last nite's Medal of Valor Dinner and Presentation Ceremony, which annually is the kick off for the International Surf Festival, this summer to be held in Redondo Beach, Calif.
At 10:05 am on Sunday, October 4, 2009, Baywatch Isthmus responded to a Mayday call reporting a vessel possibly going aground on the back side of the West End of Catalina Island. The wind was gusting to over 30 knots, with 12 – 15 foot seas. As Baywatch neared the scene, another boater reported seeing not one, but two boats pushed by the conditions towards the rocky shore in an area with many submerged rocks. Baywatch followed the 200 yard debris field, and while Captain Powell negotiated the hazardous conditions, OLS Williams swam in to conduct a shoreline search for victims. While Williams was conducting his search, Powell came upon an injured victim in the debris field. He notified Williams to return to the boat, and while Williams swam back through the surf, rocks, and debris, Powell managed to singlehandedly remove the victim from the water while controlling the Baywatch. Upon Williams return, they began treating the hypothermic, injured patient, and were able to determine that there were in fact two vessels, with 4 more persons missing! After further search, Baywatch was able to locate and rescue the other four survivors, and all five were soon on board, being treated for various injuries, hypothermia, and near-drowning. A Coast Guard copter had arrived on scene, but it was determined that conditions were too rough to attempt to airlift any of the victims, so Williams continued treatment and stabilization of all 5 patients, while Powell negotiated the still-hazardous conditions and transported the patients 20 minutes to the helipad at the Isthmus hyperbaric chamber. From the helipad, all five patients were transported to a hospital on the mainland. Though both vessels were completely destroyed, the Baywatch Isthmus crew was able to successfully rescue 5 survivors during a severe weather event along a rocky shoreline, with no back-up or additional resources readily available. On Saturday, May 8th, at 1257 hours, Baywatch Malibu was dispatched to a report of a person stuck on the side of a cliff on Point Dume. Baywatch arrived on scene and located an adult male 75 feet above the rocks on the Southeast end of Point Dume. OLS Lanford, the Baywatch deckhand, suited up with his personal protective gear, grabbed a line and swam in through the large surf to the rocks below the victim. He climbed a 60 degree slope and reached the victim who had been hanging on the side of the cliff for a half hour and was extremely exhausted. At considerable risk to himself, OLS Lanford then secured the victim with one end of the line and attached the other end of the line around himself to prevent the victim from falling. While waiting for additional resources, the exhausted victim began to panic, and fearing the victim would not be able to hang on much longer, OLS Lanford free climbed another 20 feet to the trail above, and pulled the victim to safety. On December 26, at 1800 hours and after darkness had set in, Santa Monica Headquarters received a call of a pier jumper off the Santa Monica Pier. 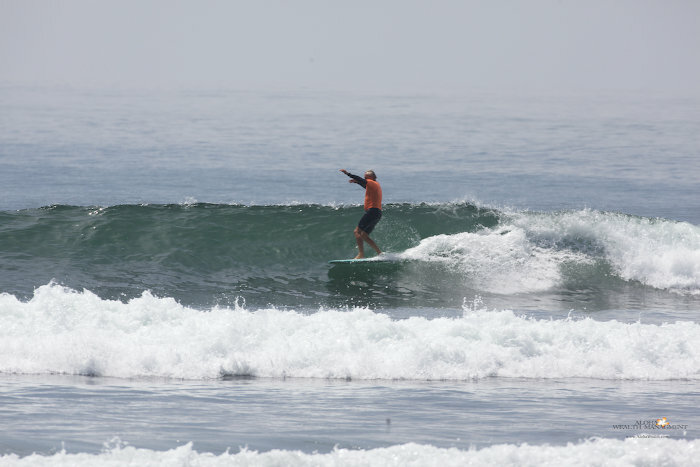 The three-person crew from Santa Monica responded, and OLS Van Duinwyk and his partner entered the water on rescueboards. About half way out, they noticed several people waving them over to the southeast corner of the pier, where they had witnessed the victim jump off the pier, submerge, and never come up. Thinking that they had a surface rescue, the lifeguards were equipped just with fins, rescue tubes, and search lights. A Santa Monica Harbor Patrolman lowered the lifeguard a small SCUBA tank (a bail-out bottle) and a dive mask, and Jon immediately started diving for the victim. After an approximately three minute search he re-surfaced, got his bearings, and dove again. By this time, 2 other OLS’s were on scene to assist. No more than a minute later, OLS Van Duinwyk surfaced with the jumper, and was struggling to keep him at the surface. It took the combined strength of three lifeguards to get the heavy victim onto a rescueboard. At first lifeguards could not realize why the victim was so heavy; though he was fully clothed, but didn’t look that big. Lifeguards paddled the victim over to the pier’s hoist, where Harbor Patrol pulled him from the water. Paramedics discovered that the reason the guy was so heavy was because he was wearing a 75 pound lead vest under his clothes. At considerable risk to himself, OLS Van Duinwyk had singlehandedly dove, located, and brought a full-sized man fully clothed and wearing a 75 pound lead vest to the surface in under 6 minutes, in completely dark conditions. 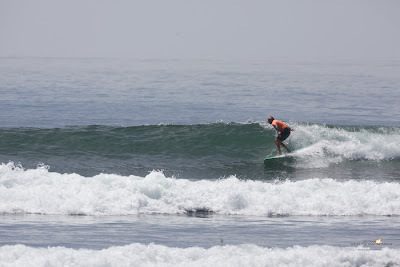 On the morning of March 3, a large swell was hammering the Southern California coast. 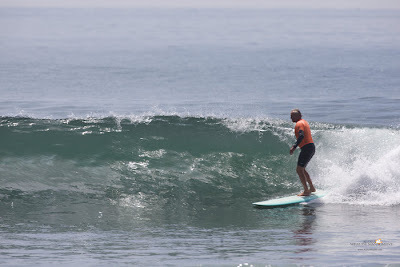 A veteran surfer, and Black’s Beach local, took off on a double overhead wave, pulled into a massive tube, and when the tube closed out, he failed to surface. Several waves later, a surfer on the inside saw him float to the surface, face down and lifeless. 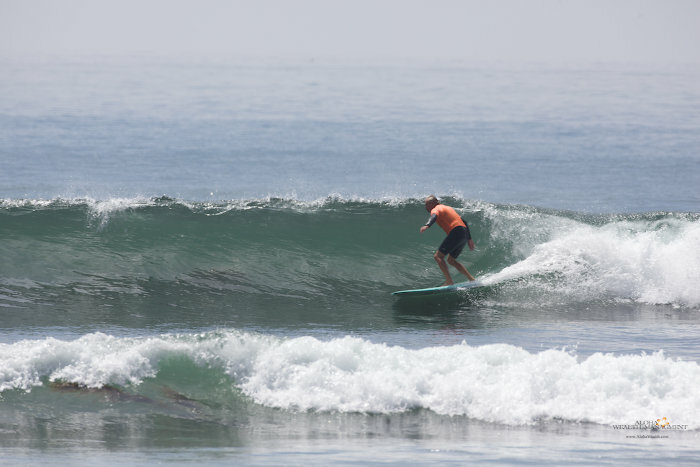 The surfer paddled to the victim, struggling to hold him at the surface, while yelling for help. Fortunately for the victim, off duty paramedic lifeguard and expert surfer Dylan Jones was in the pack on the outside, and heard the cries. He caught the next wave, and expertly surfed it right to the victim. 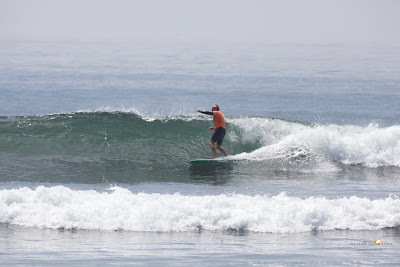 He immediately put the 180 lb unconscious surfer onto his 7’ singlefin, and paddled him to shore, where he was met by another surfer, who happened to be a physician. Together, the Dr. and OLS Jones worked up the patient, who had no pulse, no breathing, and was completely lifeless. The rescuers had no equipment other than their own skills- no airway equipment, no defibrillator - but their CPR quickly showed results. By the time paramedics arrived, the patient was not only breathing on his own, he was also conscious and answering questions. 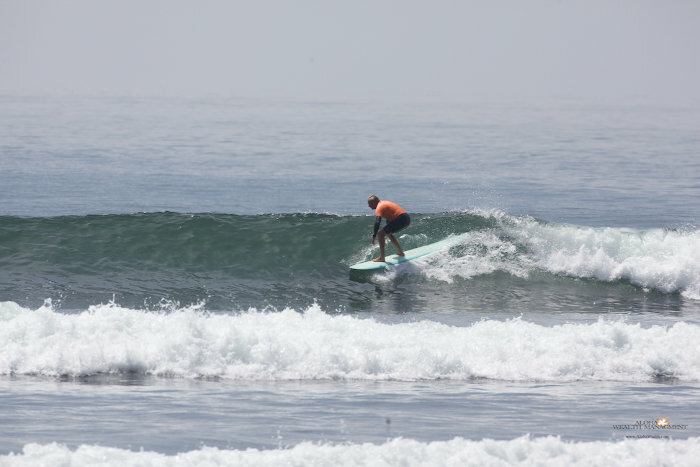 Without OLS Jones’ expert skills as a lifeguard, paramedic, and surfer, and his immediate response to a cry for help, the outcome would have certainly been less favorable. Many Thanks to Dave Story for getting us this information so quickly and timely so that we can get this important news out to our recurrent readership. And CONGRATULATIONS to each of the winners. The following email and poster were just forwarded to us by an anonymous OLS who shall remain nameless. 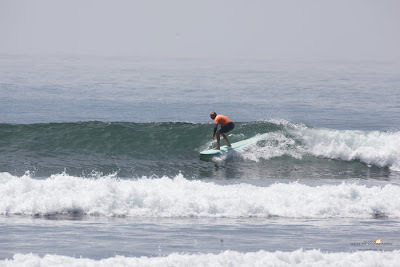 at Del Mar Beach, in No. San Diego County. 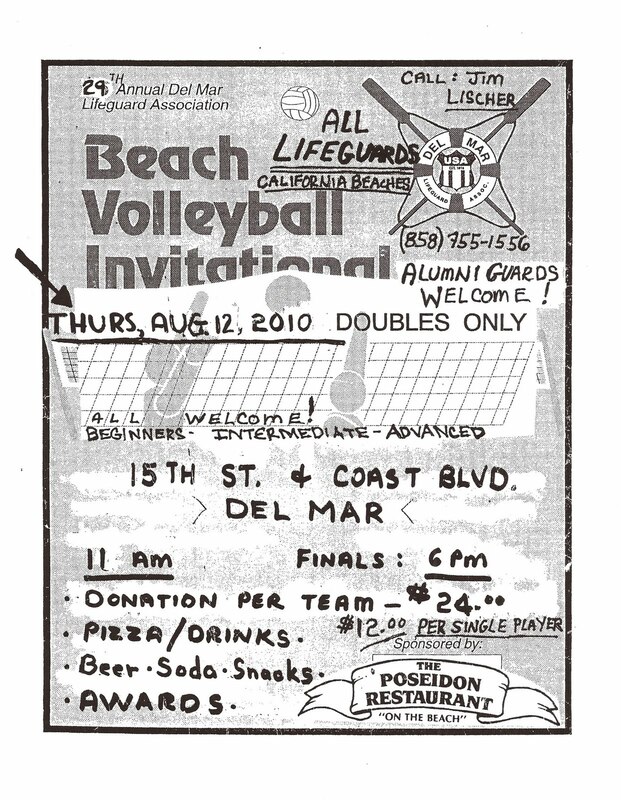 Please pass the attached flyer to all your current lifeguards and lifeguard alumni! 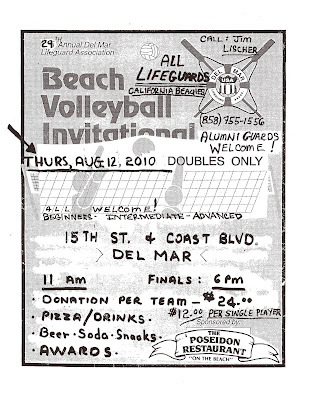 Jim Lischer has been in charge of putting our Volleyball Invitational Tournament for 29 years now!!! P.S. Please consider the environment before printing this e-mail. All Photos & Copyright John English 2010. All Rights Reserved. Used here with permission. Do not reproduce without consent. Facebook is an amazing social media tool. 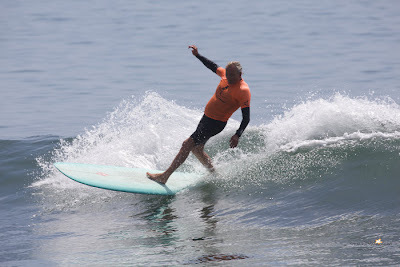 Just yesterday, Malibu Local/Photographer/Financial Advisor, John English, posted and tagged some photos he took of (now retired) LACo Lifeguard Captain and Malibu Surfer, John Baker, doing what he does best..... Surfing like a Rock Star and Looking Good. 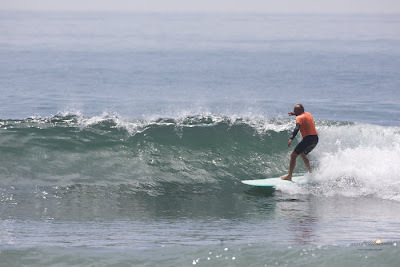 In fact, no one should look this good while surfing! Mel Solberg has the same bad habit when he competes in Lifeguard Competitions... no one should look that good while competing. 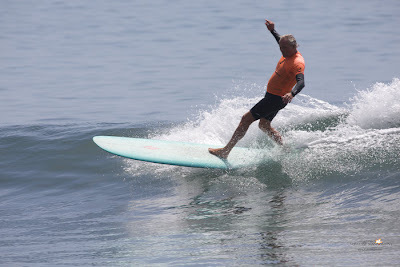 In any case, Baker makes it look so easy and effortless and we thought that our recurrent readership would love to see one of our own comrades at play in retirement. But let's not deny the man his well deserved credit... "Talent and Practice" are a powerful combination! All Photos & Copyright John English 2010. All Rights Reserved. Used here with permission. Do not reproduce without consent. 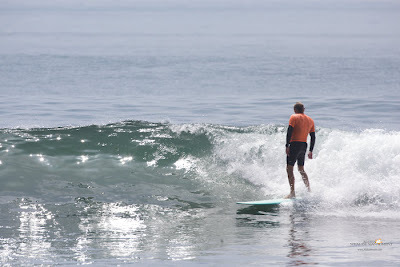 From John's Facebook Photo Album: "Malibu Boardriders 4"
Venue: Crystal Pier, Pacific Beach, San Diego, Calif.
*** Photo Credit: All Photos by & Copyright Will Maguire 2010. All Rights Reserved. Used here with permission. Reproduction without consent is prohibited. Huntington Beach is "Surf City USA"! Uncle Kipper NEEDS YOU !